There are many hardware available in the market that enhances the beauty of the cabinet and add to the looks of the décor. The cabinets are used everywhere in your home whether it is the kitchen or the living room. There are some special durable types of hardware available for the laundry rooms. You can get the laundry room cabinet pulls according to your requirements. Here are some tips to purchase the cabinet handles. The cabinet handles are there in two types, one is the pull handle and another is opened with the help of a knob. The actual thing is that the pull ones work well for the larger cabinet and the knob ones are perfect for the smaller cabinets. You must buy it considering the size and shape of your cabinet. The cabinet handles are available in many designs but the curve and the square ones are the most common ones. Choose the type by considering the countertop and the type of cabinet. The best match for the traditional heavy cabinet is the curved handle while the modern look of the light and compatible cabinet style best goes with the square shaped handles. Budget is something which is considered foremost. You cannot exceed your budget limit no matter what you like. 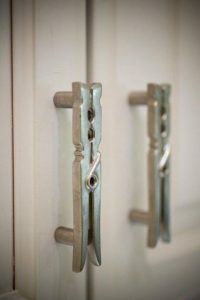 So, look for the cabinet hardware which matches your budget. The comfortability in using a particular hardware also matters a lot. There is a probability that the hardware can look quite pretty but the thing is that they might not be that much comfortable in use.